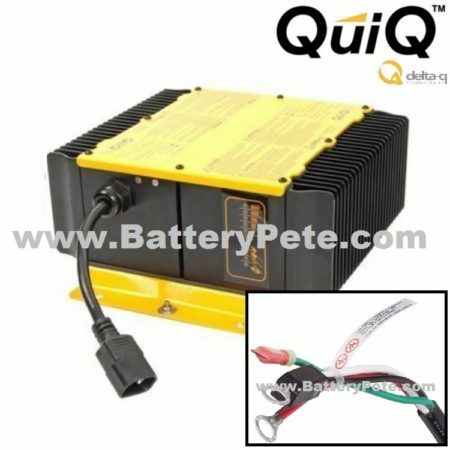 This DPI 24 volt 20 Amp Accusense Intelligent Industrial Battery Charger is perfect for your equipment batteries. Designed to be used on any 24 volt battery system that has an SB50(RED) connector and charging port. BatteryPete is proud to bring to you quality products MADE IN THE USA!!! 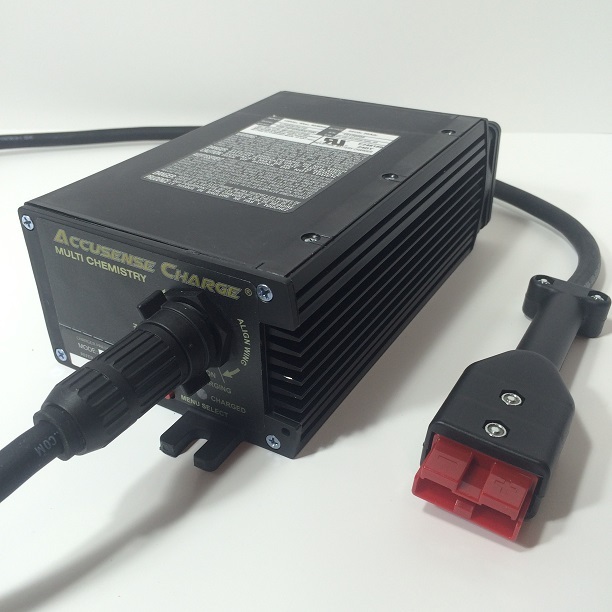 This 24 volt 20 Amp Accusense Intelligent Industrial Battery Charger is perfect for your equipment batteries. Designed to be used on any 24 volt battery system that has an SB50 charging port. The Intelligent Microprocessor Controlled Multi-Stage Charge Algorithm is designed for various Lead Acid Battery types used in Electric vehicles and other Industrial EV applications. Diversified Power International has been manufacturing battery chargers of all shapes and sizes right here in the good ole” US of A for decades. Heavy Duty – weatherized construction that is durable and ensures reliability. Studies have shown this type of charger outperforms other battery chargers that claim to be rated at up to 35 amps. ALL New this year – DPI’s 4th Generation of their light-weight and compact (LWC) 620W Series battery charger. This charger is powered by a smart, microprocessor-controlled, multi-stage charge algorithm for various lead-acid battery types used in golf carts and other electric or industrial vehicle applications. Weatherized construction ensures reliability and our new interchangeable output cable design allows you to modify the base charger to adapt to any type of output connector by simply swapping output cables. Our LWC620 battery charger outperforms OEM-rated tapered chargers. Patented selector key allows user to change the charge algorithm to match most every lead-acid battery type better known as “Mode Selectable” (see product manual for proper mode-selection procedure). • USER ENABLED ON-DEMAND-CELL-EQUALIZATION CHARGE! Be the first to review “DPI 24 Volt Industrial Battery Charger SB50 Red Connector” Click here to cancel reply.